Thank you for your generous donation to Temple Sinai. Our community exists only because of the commitment of people like you. Your donation shows that you have faith in our community and in its future. 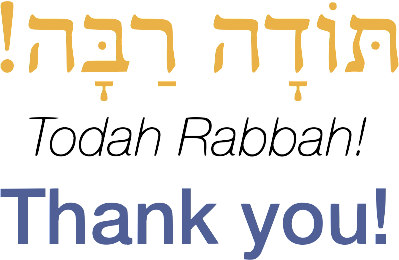 We will strive to honor that faith by applying your support toward programs and services that keep Judaism and the Jewish community alive and vibrant in the West Bay. Your donation to Temple Sinai's general fund is tax-deductible. We will provide you with documentation that you can use to report this donation to state and federal tax authorities.